So I’m sure you’ve seen plenty of ridiculously expensive ‘energy balls’ ‘energy bites’ and ‘protein balls’ popping up all over the shop, wrapped in fancy packaging and making ludicrous health claims? I’m talking about things like Bounce balls, with their questionable list fancy sounding ingredients. Did you know that in the UK food labelling laws, the ingredients must be listed in order of weight with the greatest listed first… So when you read ‘brown rice malt syrup’ as the first ingredient you should be raising your eyebrows people! Yes it is a fructose free sweetener, but at the end of the day brown rice malt syrup is just another way of saying sugar. The first ingredient is sugar. The first ingredient in a high protein snack is sugar?! There are plenty of other dodgy ingredients in the long list of ingredients including various types of whey (dairy), flavourings, stabilisers and starches. That’s a whole load of crap for the whopping £1.99 price tag. Read your labels people, it is so easy to get distracted by all of these clever companies with fancy packaging making ludicrous health claims. Words like gluten free, high protein, high fibre, fortified with vitamins etc… are being bandied around to make you think you are going to be buying a more healthful product when really a lot of the time you are being ripped off and led astray. Yep these popular energy bites claim to be high protein when really they are sugar laden blobs of yuck. You’d be better off buying an actual chocolate bar, or four chocolate bars for the same price! Fear not, I’m here to rescue your growling stomach and your wallet. 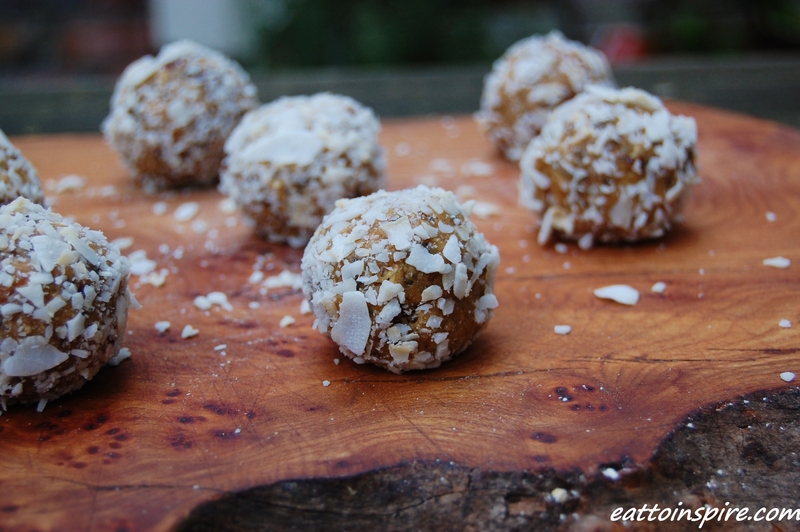 I’ve been playing around with making my own energy balls, and I found my favourite flavour pretty quick… Peanut butter. These guys are super simple, they use only four ingredients and a blender. They last ages and are super cheap and quick to make. I’m so sorry I didn’t measure the quantities of anything as I was really playing in the kitchen. I will next time and I shall also work out the cost of each ball to compare. These energy bites are salty sweet thanks to the pinch of salt in the PB, filling, high energy and very portable – just pop them in cupcake cases to take on the go. Let me know if you give them a go! What are your favourite store bought snacks? 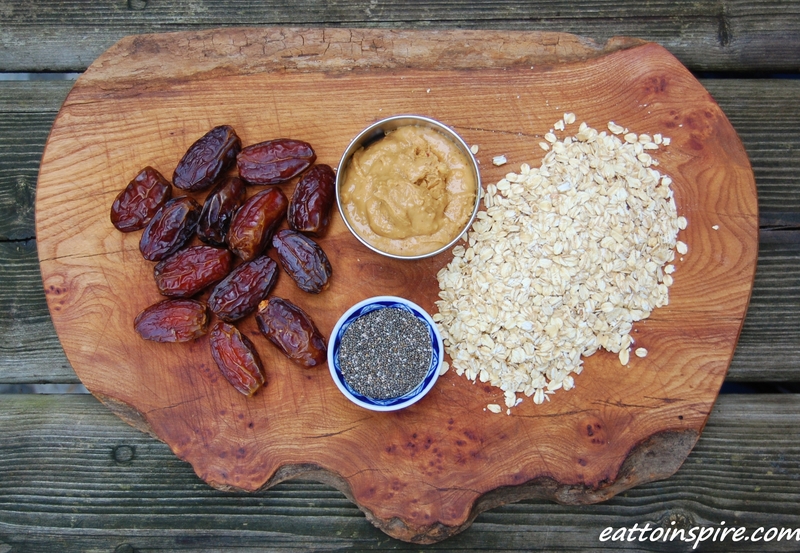 Do you make your own energy snacks? Are you ever shocked when you read ingredients lists? My favourite store-bought snacks would have to be natural air-popped popcorn or Larabars, but I like making “snack packs” of grapes and cheese, crackers and hummus, homemade whole grain muffins and nut butter, and other nutritious combos that I come up with! Larabars are these super yummy bars made entirely of dates and nuts. They are pretty caloric but so energizing and delicious. All the bars have minimal ingredients and taste like apple pies, blueberry muffins, or coconut – depending on the spices and dried fruits they add. My favourite is the peanut butter chocolate Larabar, which has only peanuts, dates, salt, and chocolate – but it tastes like a decadent brownie peanut butter dessert. Muffins are the best! I love them smeared with nut butter or crumbled over my oatmeal or yogurt.